Works are now ongoing on another partitioning install, within West Yorkshire. We are forming practical office spaces within a warehouse environment. Warehouse partitioning needs to suit the more industrial style environment and have a high fire and sound rating specification. Our client’s workspace required partitioning that needed to be just that. Due to noise from the factory space our client wanted the office space to be as private as possible. We installed a Tenon Fire and Sound partitioning system which has an impressive sound reduction barrier of up to 52dB. The warehouse office walls were built to both a solid and glass specification allowing some levels of light into the offices. 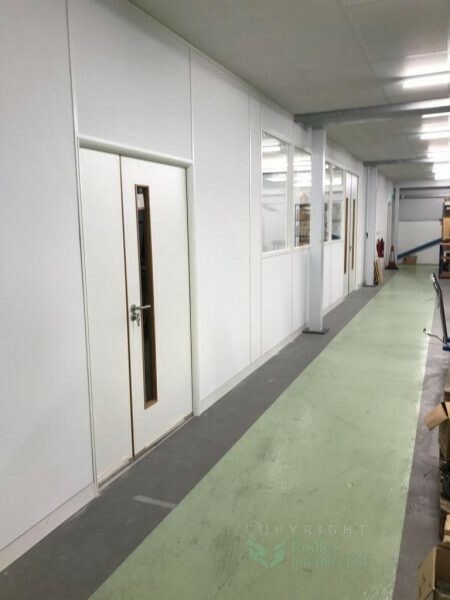 The partitioning walls were finished in a crisp white vinyl alongside the white partitioning framework. Completing the offices were white laminate office doors with long feature vision panels. We can install a wide range of warehouse partitioning systems. We can create offices for warehouse staff or fit out a full new industrial unit. The partitioning systems we install are practical and suitable for the industrial environment. 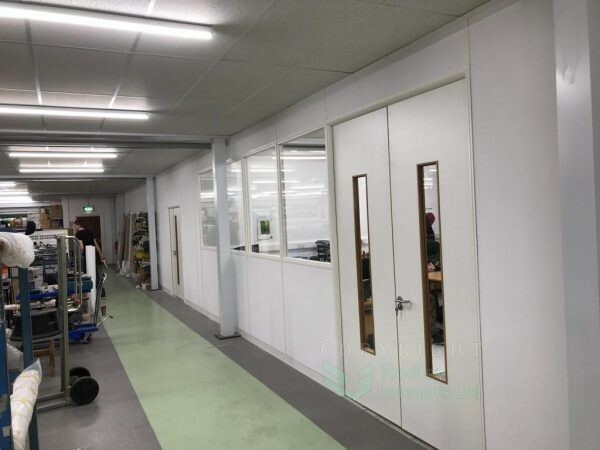 Case Study: Warehouse Office Partitions Our latest Warehouse partitioning project within West Yorkshire installing robust office partitioning to suit the industrial area.